My girls love making, giving and receiving friendship bracelets. They’re bright, trendy, relatively cheap and fairly quick and easy to make … depending on how complicated a bracelet you make of course! 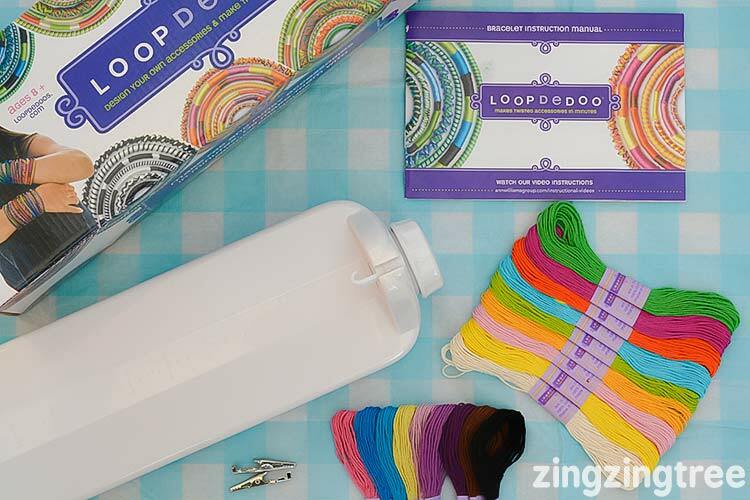 And now you can buy this really handy little craft kit that helps speed up the twisty spiral bracelet making process … it’s called a Loopdedoo. 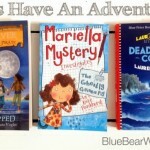 We were sent it to review and we’re just a little bit in love with it! 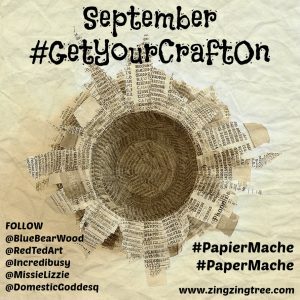 Other bracelet tutorials you might like are our DIY Yarn Bracelets plus our Steam Punk Craft Kit, Tag Jewellery Craft Kit And our KumiKreator craft kit reviews. 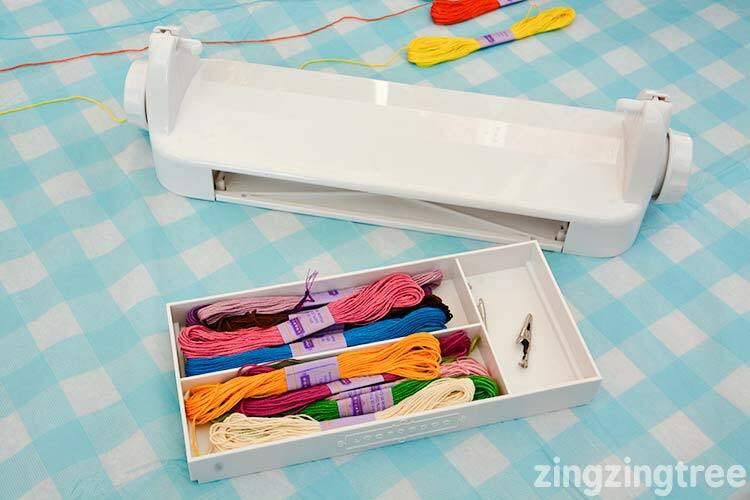 The Loopdedoo is a strong, well made, plastic tool/gadget that allows you to string thread between two hooks that are rotated via two large knobs on either end. 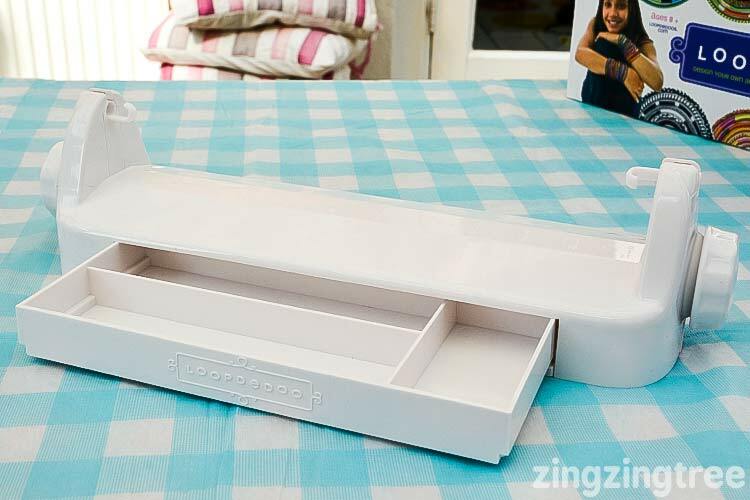 Underneath the Loopdedoo is a cleverly hidden drawer for storing your threads etc. It’s a little stiff to push out but that ensures that all your stuff doesn’t fall out when you’re moving it around. 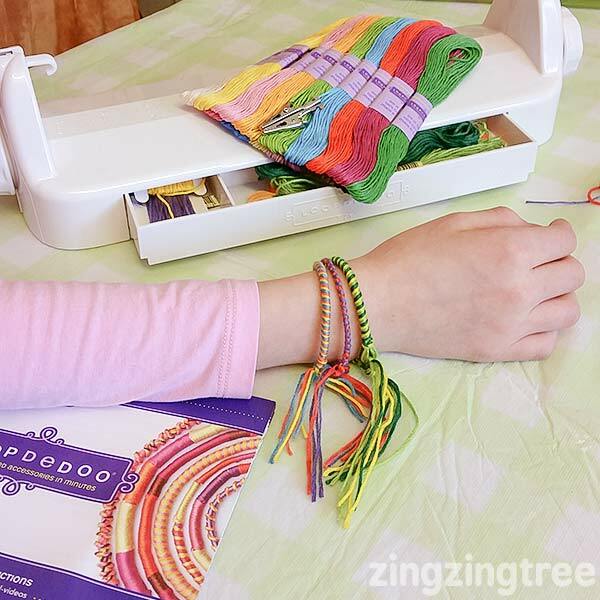 The top of the Loopdedoo has a ruler which allows you to see how long your bracelet is getting as you make it. 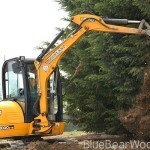 (you need to measure around your wrist before you start). 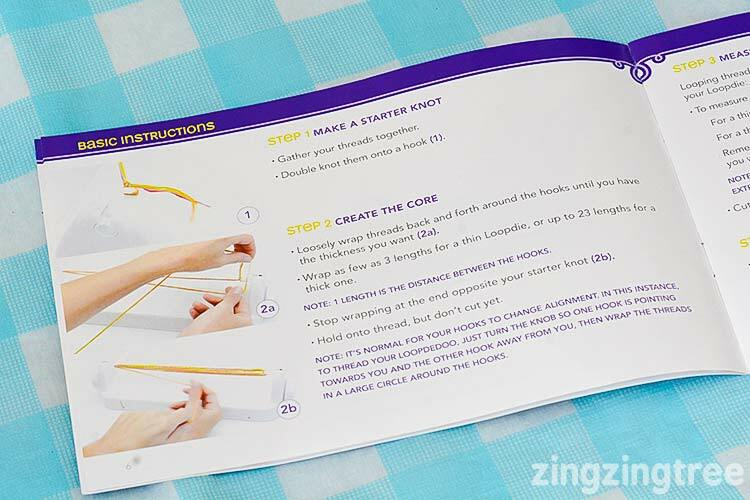 The instruction booklet is well laid out and fairly easy to understand although I do think the online videos are worth looking at if you haven’t made a bracelet like this before. All the steps that require knots are illustrated with clear step by step diagrams as well as text.There were a couple of places we found a little tricky to understand but when we watched the video it really helped consolidate everything. To start with you tie the threads on with a double knot. 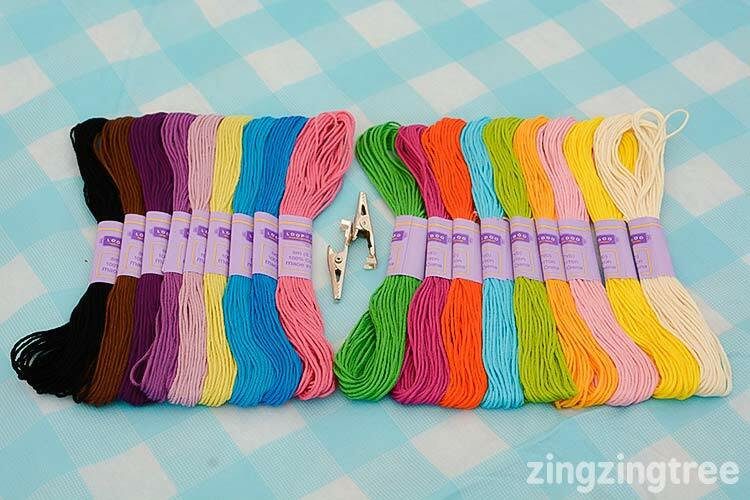 The amount of thread used can vary depending on the style f the bracelet and how thick you want to make. This ability to make quite a thick bracelet means that adventurous types you can also make belts, bag straps, decorations etc. The thickness is controlled by the quantity of thread and how many times you wrap them around the hooks. This builds up what will be the core of the bracelet. The twists and spirals are made by turning the knobs at either end with one hand and holding the thread in place with the other. 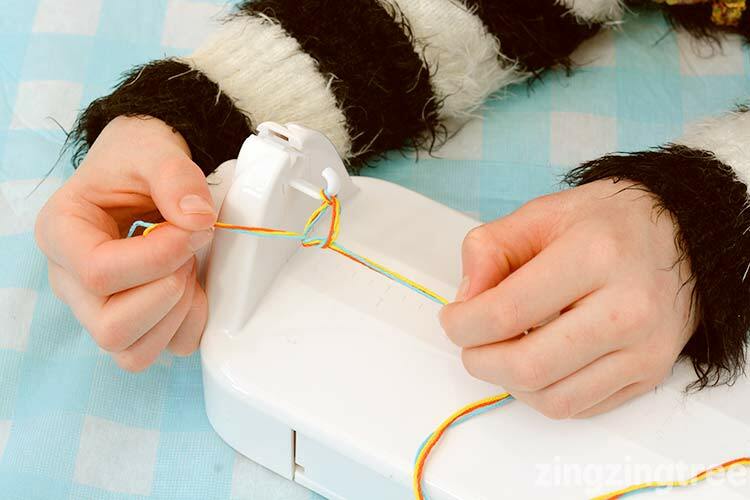 The trick is to keep the thread taught and your fingers quite close whilst you twist the thread around the core. This helps you keep the threads aligned (sometimes the threads cross over so the pattern is lost) and prevent any gaps. You do have to keep a close eye on what you are doing (so it’s great for practising your concentration skills) but because you can see your beautiful bracelet coming together in front of you very quickly there isn’t much grumbling at te concentration required. Sometimes the knobs stick as you’re turning them. If this happens don’t force them. Just pull the knob back in the opposite direction a little and then move it forward again. You can alter the pattern and direction of the threads by manipulating the threads and turning, the Loopdedoo around so you’re going in reverse threads. When you’ve finished you tie off the ends and cut the bracelet free. 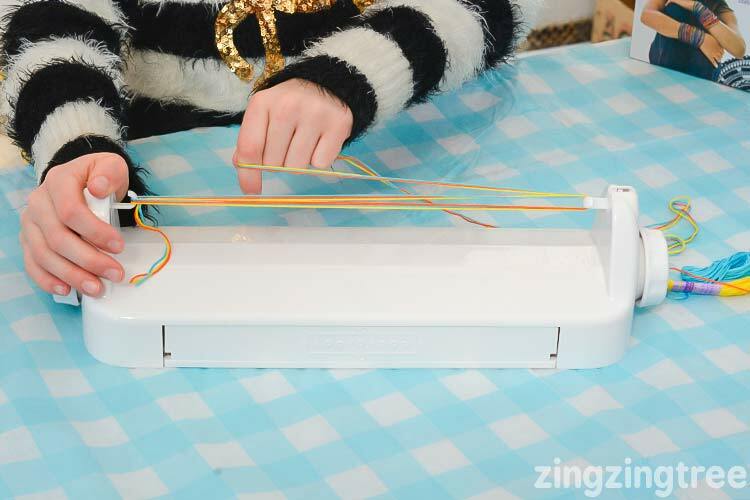 My girls loved playing with this and picked up how to make the different types of bracelet really quickly. They just need a little help with the knots occasionally. 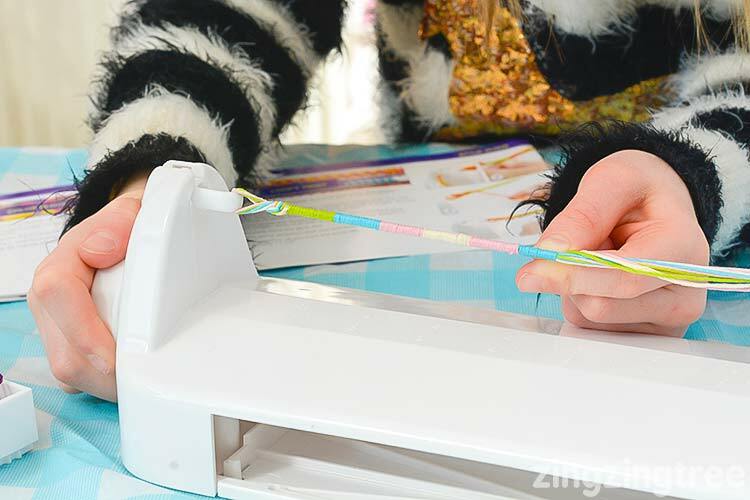 To start with the bracelets might be a little stiff (the threads been pulled too tightly whilst it’s twisted) or they can start to unravel if it’s not tight enough. But pracyoce makes perfect and we love to practice … we’re still working on loosening our colour block patterns! What’s lovely is that it doesn’t take very much to get them off playing on their own. We’ve already talked about adding some charms and beads along with trying out some of the other twists and we may even use some proper bracelet clasps to fasten the ends, although they’re very easy to tie on… can you tell I love using it as well! 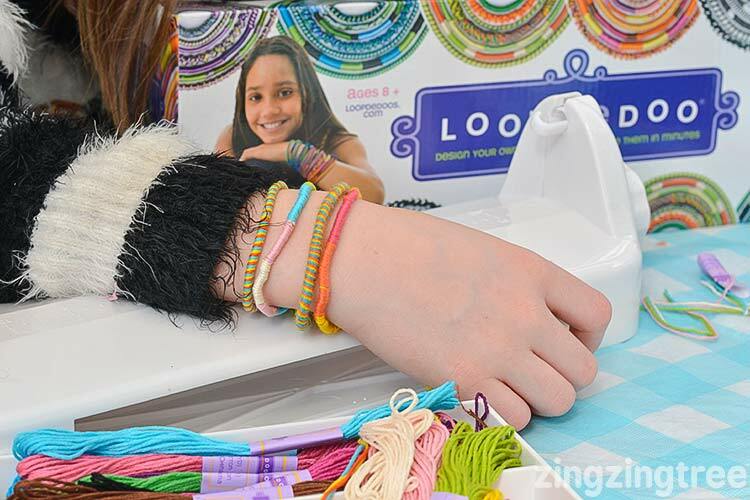 If you have a tween who likes to be creative making their own jewellery and accessories then I’d really recommend this. It’s so quick to do, once you’ve practised a little, that they’ll be able to whip up a bracelet to match their outfit in no time at all. The age range is 8+ and you’ll find the bottom end of the age range will probably need help to get them started. 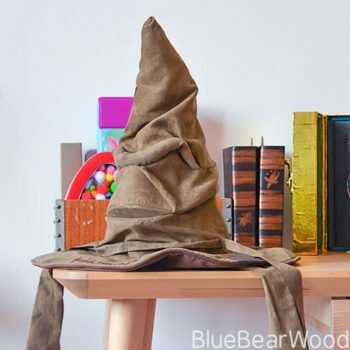 It’s the perfect boredom buster craft as you can dip in and out of it easily and quickly and is likely to be used for many many years. 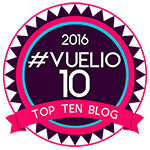 We were sent this product to review and we genuinely love it.